I'll cop to it. 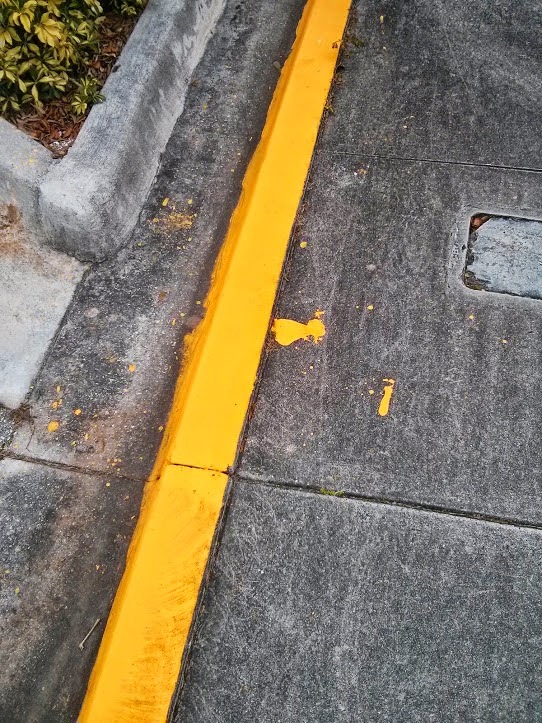 I was suspicious when I came home and found the curb in front of my house haphazardly painted, that maybe it was personal. But after a walk today, it seems like all the sidewalks were similarly vandalized. In fact, mine's better than most. North Bay Village. Never color in the lines.